Brenda Priestly Jackson and Terrance Freeman. 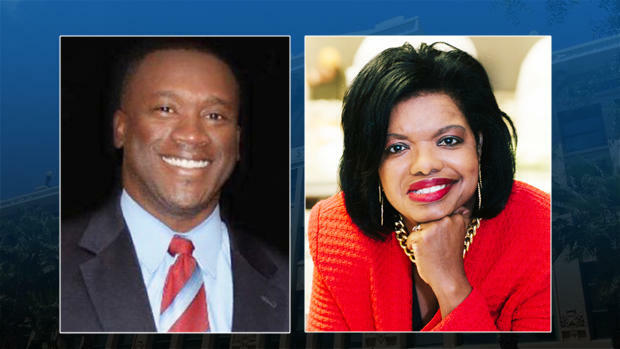 Brenda Priestly Jackson, an attorney and a former Duval County School Board member, is vowing to continue her fight against City Councilman Terrance Freeman's appointment by Governor Rick Scott, despite a judge dismissing her lawsuit. The lawsuit was dismissed Wednesday by a Duval County Circuit Judge. Yesterday’s court decision ends a political lawsuit and opens the door for us to move forward and work together to improve our community. Since I took the oath of office, I have given all my energy and focus to the significant concerns of the people I represent. This court decision allows us to put people over politics and address their needs. That is where my focus has been and will always remain. There is no such thing as a Republican or Democratic pothole. I will continue to work with anyone, regardless of political persuasion, who is willing to work beside me to make our District - and the City of Jacksonville as a whole - a better place for all of us. Freeman was appointed by Scott in July to replace City Councilman Reginald Brown, who, along with Councilwoman Katrina Brown, was suspended after being indicted on federal fraud charges. Ju’Coby Pittman, who was also appointed by Gov. Scott, took over for Katrina Brown. The lawsuit was filed by Jackson, one of many who applied to replace Reginald Brown. She alleged that Scott appointed Freeman before he officially became a resident of District 10, which he now represents. She asked the judge to declare Freeman’s appointment unlawful and to remove him from office. 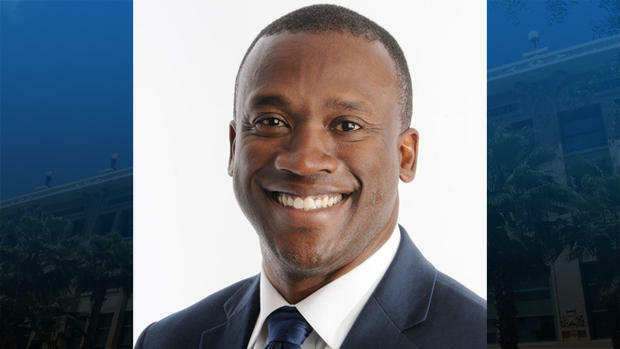 Freeman said that his family moved from his Mandarin home to District 10 in Northwest Jacksonville on July 10, the day that he was appointed by Scott. Freeman was sworn in on July 12. Circuit Judge Waddell Wallace III wrote that the court had no jurisdiction to determine whether Freeman was qualified to be appointed by Gov. Scott. But Jackson disagrees, so she plans to file a motion for reconsideration. "I have a great respect and admiration for Judge Wallace," Jackson said. "As a family law attorney I have had the opportunity to practice in front of him several times through the years. He does not believe that the court has jurisdiction to hear this matter, in terms of questioning the governor's appointment authority. I greatly disagree with that, with all due respect. If a citizen, which is who I am, a Joe Blow citizen of Duval County, is questioning the actions of a governor, who else but a court of competent jurisdiction from the state is in a position to evaluate the merits of the governor's action? Where else would I go? Who else would be able to decide it?" If her motion for reconsideration isn't granted, she plans to bring the case before the City Council, where Judge Waddell said Freeman's eligibility should be decided. And Jackson warns if that happens, Freeman's eligibility may be decided by some of the people who recommended his appointment in the first place. More on this story from our Florida Times-Union news partner is available here. A Jacksonville woman sued Gov. Rick Scott on Friday, alleging his appointment of Terrance Freeman to replace suspended City Councilman Reginald Brown was unlawful because he didn’t live in the district. 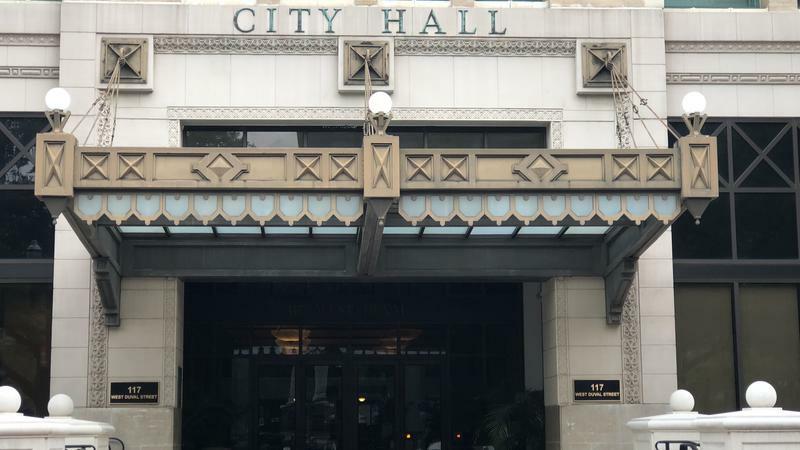 Terrance Freeman and Ju’Coby Pittman are set to be sworn in at Jacksonville City Hall Thursday afternoon after being appointed to temporarily replace two suspended council members under federal indictment. Gov. 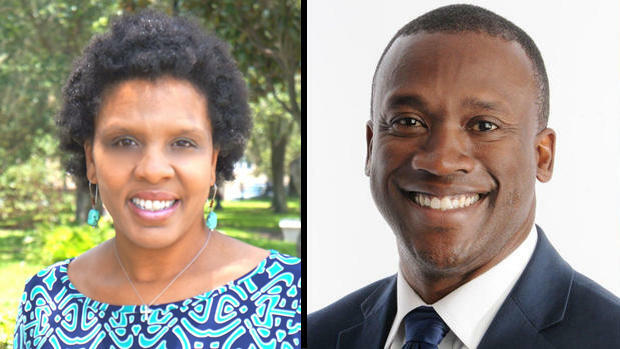 Rick Scott named replacements for suspended Jacksonville City Council members Katrina Brown and Reginald Brown.